3 Kids, 2 Jobs, 1 Life: Stop, Dry Wall Time! DRY WALL DELIVERY!!!!! 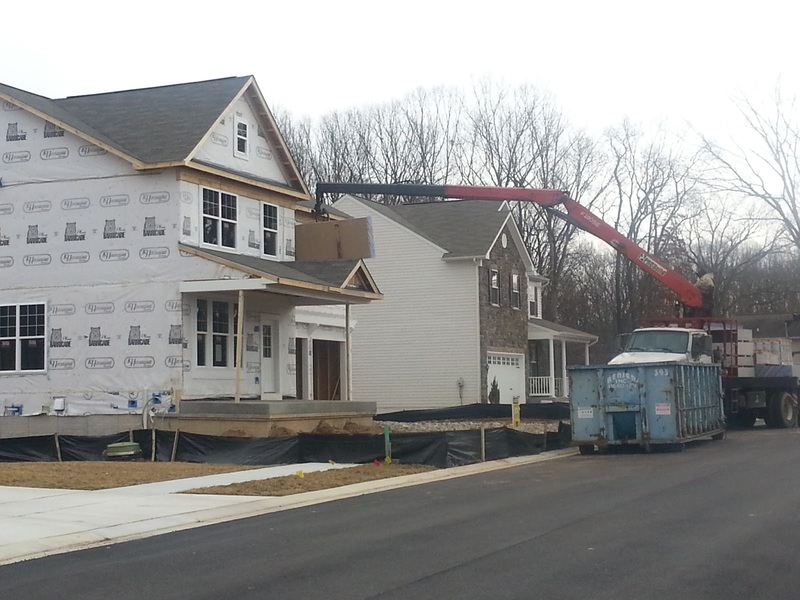 I was kind of hoping to see that they had started the siding, but I'll take drywall over siding! (Siding will happen any time now.) Funny to see that they had taken one of the master bedroom windows out to get the sheet rock into the second floor. I didn't get any closer because the truck was taking up most of the street. Here's hoping that they are dry walling today and tomorrow! While Piper and I were there, we stopped by the model hoping to meet our new sales agent, but she wasn't there yet so we went on with our day. 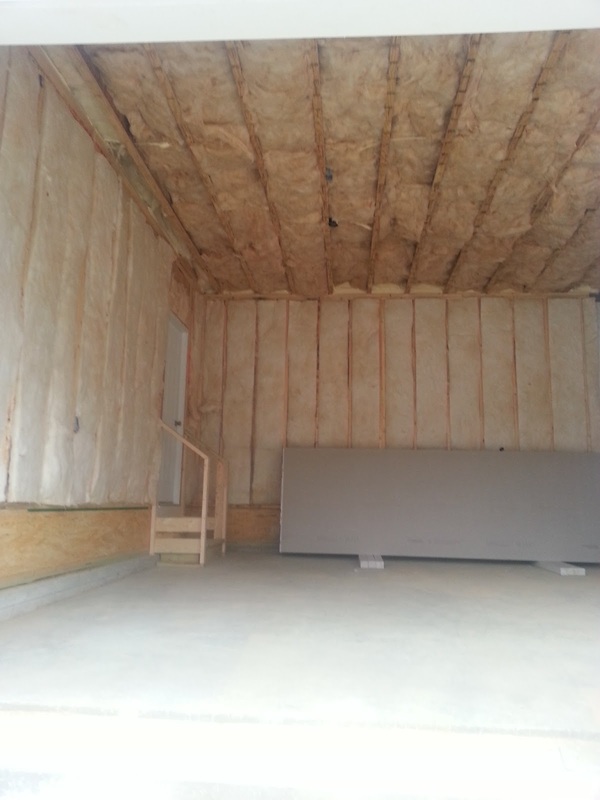 And that the insulation had been put in! I didn't go in the house but seeing that I could no longer see through the garage into the family room was kind of exciting. It means that they are VERY ready to dry wall and that all inspections (for now) have taken place. 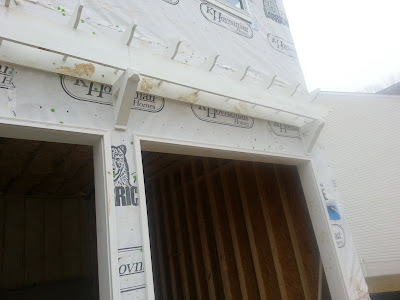 The construction manager told us that it's very likely that they will get the house dry walled in one day because the workers get paid by the sheet and will work until it's done so if they get started today or tomorrow we might be able to get a walk through this weekend. Of course the "mud guys" take a little bit longer but only a few days and then it has to dry out. Because our old sales agent is now in another community (Belle Haven in HoCo), we don't have someone to give us the fun Facebook updates anymore....so we'll just have to check ourselves. We still get weekly updates with photos but at this point there are going to be daily changes. Thankfully with the evenings getting longer, stopping by on our way home from work isn't such a big deal since we won't be running from darkness for much longer. It felt so good to see progress and know that with the dry wall going up that we are another step closer to being in our dream house. It's nice to feel positive again!